I can't add initial stats since i already leveled all at least a bit (apart from most normals), but i'll add what i can. Does anyone know how i level up idol skills? I've just found out there is an Album wich you can access from menu (rightmost button on bottom panel). there you can check any card you ever owned in their initial 1st level state. You can even re-watch heart-lvl-up scenes from here! Not sure what this level does though, cause skill description didn't change. Kaede-san, ROKKU tte nan desu ka? Ya know guys, I just realized. Right now I'm playing Starlight Stage and Dragon's Dogma Online. So, is it bad when the two games you were absolutely pumped for are both free to play? Think it's the same, if I'm remembering correctly. Lesson with an idol with a skill, and you get a chance of skill up. I don't think it's around anymore, but does anyone know if max leveling your idol before upgrading her gets you more stats in this game? I don't think it would, but it wouldn't hurt to know. I did find a Japanese post that said probably not, but the comparison shots he put up showed that whoever ran their experiment is not too familiar with the scientific method. Divide rock instead, and you'll find that it turns into itself and keeps going forever. 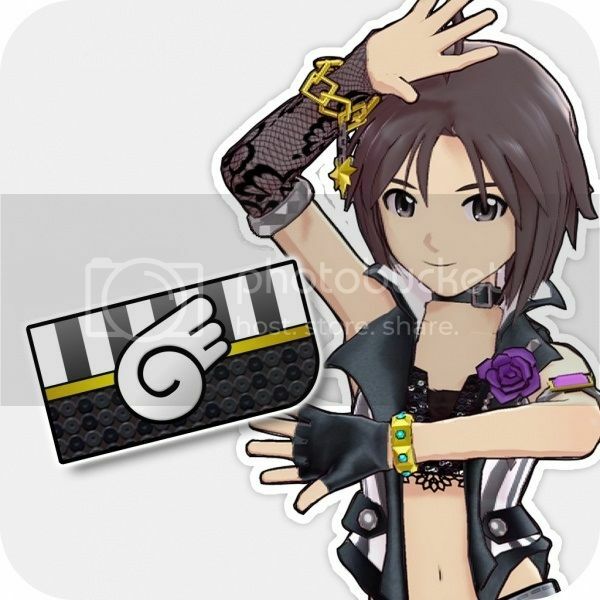 I've just got rare Mio (the same as the start one) from Live. Do the idols' levels matter? The question has already been asked I think, but is leveling similar to Fire Emblem where you should level your units all the way to the max level and then promote them for better stats? I'm looking the list of idols that I've acquired and I need to make some "transfers" to make room. i don't think the moment when you do the special training matters, since in contrary to fire emblem, they are not reset to level 1, it simply increases their max level and gives them a small stat boost. Their level matters in the regard that their stats get higher, which results in a higher score. There is no "passing score". Even if you don't reach C rank score wise, the song still counts as a success and you get XP, fans, money and items. And if you can do them, doing them at least once isn't a bad idea, since you get 50 star jewels for the first clear. Has anyone found a tiara yet? And if so, where? From the cabinet in the office? Or from a song? If from a song, which difficulty? Dunno if you got it already, but I just got one from the cabinet. The drop might require some specific producer rank. Whats yours? And there is a bonus wich increases tiara droprate for normal lives, so its definetely possible to get it there as well. I'm only lvl 10, rank E.
Btw, is there even a point in doing higher difficulty songs? Putting first-time complete bonuses aside, it seems you receive the same amount/quality loot per song no matter the difficulty (or is it not so?). You have nowhere to spend your money, exp and fans come, and they come in abundance anyway. Items-cards seem the only useful resourse to me. Harder songs cost much more stamina so debut ones seem more profitable. Am I wrong somewhere? According to this, it's just more efficient to use songs that consume 11 or 12 stamina points. I'm not positive on items but if the drop rates are the same, then some debut or regular difficulties would be the best bet to use. well, i'd say the chances to get more and higher tier items is higher at higher difficulties, but that isn't backed with any real data. Higher difficulty songs give you more XP (although you probably get more per stamina at debut, but i wouldn't be surprised if they change that soon, it doesn't make much sense), more fans and more affection. Fans are useful at the moment because some idols unlock additional communications at 2000 and 10000 fans (there is probably more to come in the future), and at least the 2000 fans commu gives you 25 stars. The affection isn't much of an issue though i think, even though the communications that come with an upgrade give you 25 (normals) or 50 (rare and srare) stars, the limiting factor are the item cards. But most importantly: debut songs are boring as hell. I mostly play on pro.